Koh Rong is a well-known paradise island in Cambodia so if you have the chance to visit this country, you should not miss to visit the island. 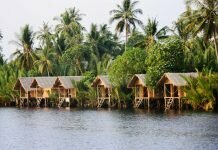 You are planning to travel to Koh Rong without knowing which the best accommodation to stay, the following are some suggestions for you. Known as the best resort in Koh Rong Island with 5-star quality, beautiful view and comfortable rooms, the Koh Rong Resort will definitely not make you disappoint. Located right in the coast, you just take a few steps to reach the beach and if you like, you also can swim in the wonderful outdoor swimming pool by the sea. The resort offers the large villas with fully furnished furniture such as TV, air conditioning, sofa and other necessary amenities to ensure you have the most comfortable stay. If you like scuba diving, fishing, you can ask the staff for help. Another good resort in Koh Rong Island tourists can choose to stay is Pura Vita Resort. Situated in the Sonaya Beach, the separate bungalows in the resort bring a private space for guests. Each bungalow has sea view and balcony for tourists to enjoy stunning sea view right in their own room. There are two types of bungalow for you choose are: Twin-bed bungalow (20m2, 1 twin-bed) and 2 beds bungalow (20m2, 2 single beds). Pura Vita Resort is about 41km from Sihanoukville International Airport. The free pick-up service from Koh Rong’s main pier and shuttle service to Koh Touch Beach are offered. Types of room you can choose: Beach Bungalow (16m2, 1 twin-bed), Family Bungalow with beach view (20m2, 1 twin-bed and 1 single-bed), Bungalow Superior Jungle (22m2) and Bungalow Deluxe Jungle (26m2). Situated along the coast of Koh Rong Island, Coconutbeach Bungalows offers simple and quiet accommodations with stunning sea view. 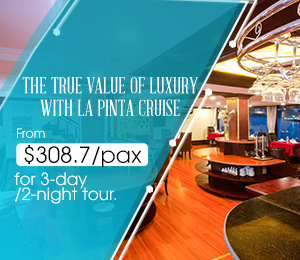 It boats a private beach, 24-hour front desk and daily housekeeping service. Bungalows are equipped with fan, wardrobe, balcony and private bathroom. In addition, you can enjoy many activities such as fishing, hiking or barbecue. The hotel also features a restaurant and bar serving local dishes and delicious drinks. The next hotel we want to introduce to you is Nature Beach Campsite. It is located on a private beach, overlooking the beautiful beach of Koh Rong Island. 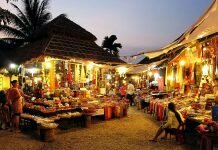 The Nature Beach is 7km from Koh Touch Beach and 26km from Sihanoukville town. 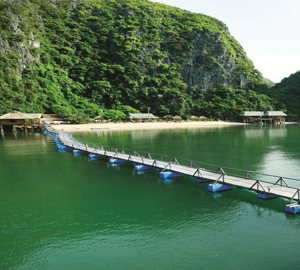 Boat transfers from Koh Touch Pier to Nature Beach are available. This resort offers a variety of accommodation, including tents and wooden bungalows. Standard and family bungalows are fully furnished with air conditioning, balcony and private bathroom. In addition to stay, you can also participate in some water and outdoor activities such as kayaking or snorkeling. The beach-side bar and restaurant serves both local and international dishes. Fresh tropical fruit juice and cocktails are also served. Hope that with the information above, you will choose the most suitable accommodation to stay while traveling to Koh Rong Island. 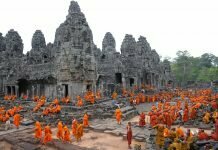 Find more hotels & resorts and travel guides in Cambodia, please visit our website. Please do not hesitate to contact us if you have any questions or comments. You also can subscribe and like this article if you feel it is useful!